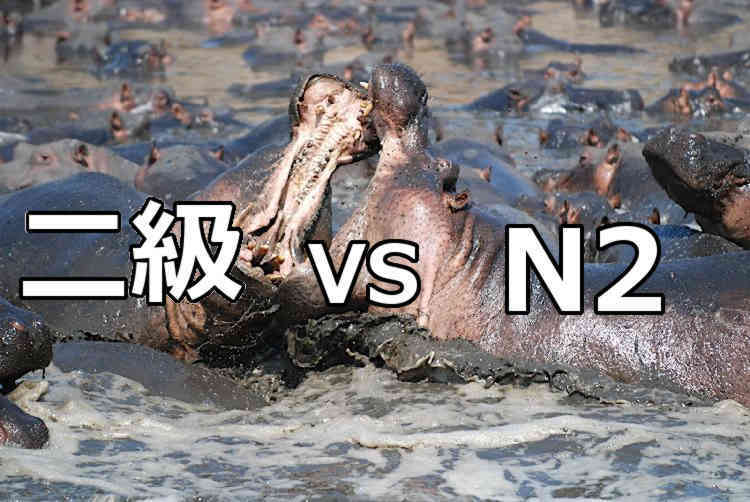 The battle of the two tests, N2 vs. 二級, rages on this week. I went over the kanji, vocabulary, and grammar sections last week, but this week, let’s take a look at the reading and listening sections of the exam. One section is pretty close to its ancestor, and the other is almost completely different, can you guess which is which? You may think that it is completely useless to go back and go through the old pre-2010 tests, and you are about half right. Some of the questions on the new tests are nothing like the old test. And, the new tests go over different aspects of the grammar that the old tests didn’t go over. But, the old tests do have their value. Namely, they are an excellent source of reading and listening material that is very test-like. It’s hard to find the short, succinct, rather abstract passages that are usually on the N2, out in the wild. Books are commonly written to be as easily understood as possible. Whereas the test is packed with passages that have some of the extra fluff that makes a passage very clear removed. On the 二級 reading section, I received a 30/50 (60%) compared to 13/19 (68%). This was a bit surprising, considering the reading section for the N2 seems to usually be a bit more difficult than the old 二級 tests. I think one reason for this discrepancy is because the first passage for the old 二級 is a 1200 or so character long passage with 6 questions attached to it. So, if you don’t understand the general idea of that one passage, it can really hurt your chances of getting that set of questions right. Another difference between the old test and the new one is that the old test always had a graph question. This has been replaced with the information retrieval question. To me the information retrieval question seems a little bit more practical to me. Not a lot of people need to read graphs on a fairly regular basis, but information retrieval, which usually involves some information about a service of some kind, is a lot more useful. The old test also didn’t have a integrated comprehension question (where you have to read two passages and answers questions about the differences or similarities of the two passages). These are hard to find in the ‘wild’, so you might need to look elsewhere to get some reading practice for these. This is one section that has radically changed from the old 二級 test. There are now 5 different types of questions compared to just the two types of questions that were on the old tests. They have made some dramatic changes to this section that has made it more practical, and also a little bit longer. My scores for these sections were pretty close. I got a miserable 13/31 (42%) on the 二級 and a 15/33 (45%) on the N2. Looks like I have pretty bad listening on both tests. I should note that while I was taking the 二級 the neighbors were beating their futons and the 2 year old above use was creating havoc, so I was a bit distracted, but still a terrible score really. I felt in a lot of ways, the 二級 listening was pretty easy to prepare for. It had a certain type of questions that were typically on the test and things that you could look out for. The first couple of questions were hardly practical at all. It usually involved two people talking about an object or picture, and you had to pick the picture they were talking about. I can’t really see this happening in real life. I mean when have you ever heard two people talking and then ask you what object they were talking about? Usually this type of conversation involves a lot of hand gestures and pointing. Not two disembodied voices arguing over which necklace to buy. But, that’s just my opinion. I do think the second section of listening where there is nothing written in the test booklet is great practice for the N2 though. The questions in that section are more similar to the ones asked on the N2. For example, they ask things like ‘What is the first thing the woman is going to do?’ which is a pretty standard question on the N2 as well. As for the listening section on the N2 practice test, I do feel like I benefited a lot from the Kanzen Master Listening book. For example, I ended up getting a 80% on another practice test that I took. But, for reason this test just really threw me for a loop. The book goes over a lot of test strategies to use for the new N2 questions that I hadn’t really thought of (and I teach TOEIC strategies from time to time). Overall, the N2 has become a lot more practical test. The only problem is that it has also become a little bit more difficult. You definitely have to prepare differently for the test and use books that are designed to prep you for this test instead of the old 二級 books. There are a lot more nuances and tricks to look out for with this new test. Have you taken any of the pre-2010 tests to prepare for the new post-2010 exams? How did you feel about them? What were the major differences? Let me know in the comments below. P.S. Do you think the 二級 is easier? Me, too! Sign up for the newsletter! P.P.S. Do you think the N2 is easier? Then try joining my Facebook Page for all the latest updates. What N2 books can you recommend? I think that Sou-matome N2 is not very good. I’m studying Old Kanzen Master 2 kyuu now, is it enough for N2? The N2 So-matome Grammar book is a good introduction, but it is not difficult enough to be on par with the actual test. I feel like the New Kanzen Master N2 Grammar book will really take you through the steps and prepare you for the test. The main difference between the New version and the old version (and I own and have used both) is that the new version has special sections that go over the strategies for each of the sections of the new test. They also go over tricky little nuances that the test will go over like the epic は vs. が battle as well as when to use different verb tenses (食べていた vs. 食べた). You may think you know these really well (I did at least), but you might not know all the intricate details of when and where to use them. I learned a lot from the book, and it helped me at least feel a little more comfortable taking the exam. 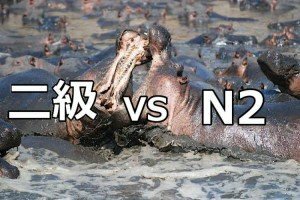 The old kanzen master is okay, but the new one will really prep you for the test questions for N2 and give you some golden strategies that will come in handy on the test.